" It is an essential tool to sell in today's world"
I can write emails with massive personalization. Leave a general format and add personal messages for each particular prospect. It is a great time saver and synchronizes in real time with Salesforce. The analytics panel allows me to generate reports with metrics at the end of each week that are very useful to measure my performance. I would like to do more like attach files in the first message, have a more specific dashboard about inbound leads and outbound leads, etc. Sometimes it is difficult to find some messages in the search bar or some are not registered. I save a lot of time on operational issues. Send emails to similar prospects in half the time or less than I used to. Knowing if the prospects read, opened the messages, clicked a link or the level of engagement with the message are very interesting metrics for anyone who works in sales. "Nova is a great tool to increase productivity for Sales Teams"
Nova effortlessly tracks in salesforce which is always nice because now I don't have to constantly remember to BCC Salesforce. At the same time the flows are really convenient to manage. I also really enjoy the side panel that gives me all the information on the contact in one place so I don't have to go to multiple places to see what I need to know. I would like a better way to track email opens/clicks. It would be nice if Nova had a dashboard on the email thread itself that said how many times they opened/clicked instead of having to search them on the left-side panel. At the same time, I would like a way to know when the last time I called a contact was, that way I make sure I touch everyone frequently. Sending out mass emails and following up with those contacts are the main use cases we are using Nova for. We also use it to track all activity within Salesforce. Using Nova is convenient because it consolidates multiple steps, and it makes it easy to call on the contacts, and track flow activity. I love that Nova gives me insight at a glance when viewing a prospect. Before I send an email, I have access to the contact's role, company name, location and LinkedIn profile right at my fingertips making for a seamless introduction. The personalization feature of Nova is truly what sets it apart. I can choose Nova's built in language or customize it to my personal preference which really adds a warm, more personal touch to the outreach. I think the only thing I would change about the platform is the ability to easily view/get notifications when a prospect opens an email multiple times. Those warm leads have made up a good percentage of my meetings set in the past using other similar programs. Nova gives me the ability to reach the right buyer and match them to a service that proves to be valuable in their line of work. 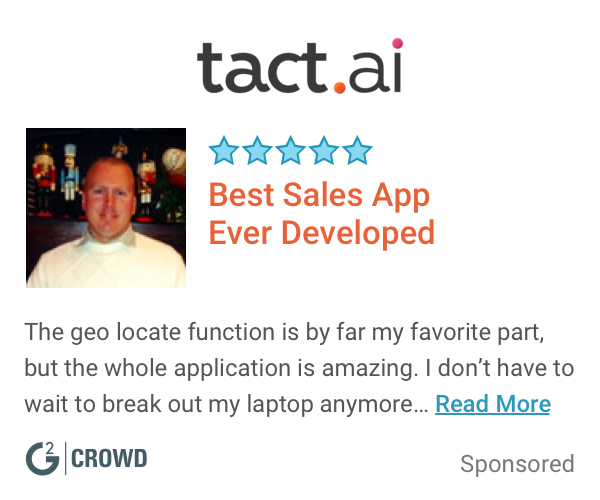 "Great tool for campaign tracking and analytics! " My favorite feature is the intelligence tab where you are able to filter within all of your campaign and email flows where you're able to seamlessly view opens, clicks, and replies with sentiment analysis as an added bonus. The customer service is also noteworthy since you're able to get answers to your questions instantly which helps your productivity. I dislike that Nova does not have a dashboard on the email thread itself that shows how many times a recipient opened and clicked so that I'm able to have a more in-depth view besides just the left panel. Tracking and following up with prospects as well as email campaign analytics to increase our workflow strategies and log into Salesforce to have a clear view of metrics as well. Nova allows me to be personalized at scale. I can write and organize email messages for different use cases, easily tailoring messages to different personas. The SFDC integration is great. I can either add someone to a Nova flow within the SFDC UI or toggle between Gmail and SFDC through Nova. Nova pulls the contact's LinkedIn, making it easy to connect with them and add personalized content efficiently. I also like that I can make phone calls from Nova, and the caller ID shows my cell phone, making it easy for prospects to call me back directly. Nova can work on reducing latency. This is a pain point since it slows down how many emails I can send per hour. I use Nova to generate new business pipeline. "A great tool, destined for bigger things"
Very easy interface, setting up new templates and adding merge tags is a breeze. Timing optimization for different timezones is a nice feature. Support is always very responsive and rectifies any problems with utmost speed and precision. Looking at performance metrics or segmenting the performance of campaigns is easy to do with simple to use rules-based logic. It also syncs with the dreaded Salesforce to make sure accounts are being enriched with your existing nova data and outreach information. The UI at times could be more flexible. I do with there was a stand alone app outside of gmail, as something I feel the platform could be quicker than it is. Going through general contact lists can be slightly cumbersome, and not full control is given over changing multiple stages in a flow, only the next stage going out. Nova makes it easy to personalize emails on a large scale, allowing our outreach to remain effective and personal for each recipient. It also allows us to continually confirm tests or content theories we may have to increase our response rate. "Nova does all the hard work for you"
I like the ease with which I can import my leads from Salesforce and send them all personalized messages within minutes. Nova comes up with a top-notch script for me that needs only slight tweaking. It's also keen to allow me to review each letter before its sent out. The interface allows me to see exactly who opened my emails when and targeting those individuals who might be the best return on investment for me. I've experienced some glitches and received an ongoing error message with Nova unfortunately. It would not load on my email and countless hours were spent between me and Nova engineers to resolve the problem. Ultimately, it was resolved having been blocked by the internet server I was using at the time. But discovering that this was the problem took quite some time and frustrated quite a few of us. Definitely give it a try. It's an easy Chrome extension and it can add real value to your B2B sales efforts! We are achieving B2B Sales goals and expediating outbound sales outreach unlike ever before. Nova is doing all the grunt work, we are just orchestrating it. It has made it quick and easy to find warm leads and expand outreach efforts, while also tracking progress and making adjustments wherever necessary. I love the workflow rules. I set my rules and filters and my tasks are queued and ready every day. Some of the personalizations are cheesy but what else do you expect when technology is writing messages for you? The good thing is you can edit the copy accordingly. Make sure you test your workflows before widespread use. Also, segment and tag contacts correctly from the beginning. it's all about efficiency with Nova. I can get out more messages with a personal touch than I could have before. My company saw a 4x increase in meetings. Granted, we didn't have anything in the stack so we went from 0-60. I really like how I can manage all my flows and contacts in one easy platform. NOVA helps me do all my follow ups and reach outs while I can focus on other important things. This tool has definitely made my work flow even more productive. The personalization tool is a bit off but I like that it gives you the option to choose. Most of the time, I don't use that function but sometimes it comes in handy. I am able to time my follow ups without thinking about it, logging my tasks and using the analytics to see which flows are the most successful. Nova is great when it comes to sending personal emails/sequences and making phone calls. It is easy to track engagement scores and then follow up accordingly. Because Nova is a new technology - there are sometimes errors and timeouts. With that being said, the support team is extremely responsive and personal in their responses to these problems. If there is something missing with Nova - don't assume that it is not on the product roadmap. They are adding things every couple of days so feel free to ask the team for updates and they are likely to add it to the roadmap. Being able to easily apply tags to contacts and then track engagement and analytics has been a problem that Nova was able to solve. This has allowed me to tailor my messaging accordingly and contact the most engaged personas. "Great Tool for Drip Campaigns and Sales Follow Up"
Very easy to implement drip email campaigns for sales purposes. They also have a cool feature which adds a personal message (eg: based on LinkedIn data) so it doesn't look like a mass email. Sometimes the formatting is weird when I'm also using other apps like Cirrus Insights. The two plug-ins aren't always compatible with eachother. Does what you need it to do and they are constantly releasing new versions and new features. Also very fast to respond with customer service questions. Sending email drip campaigns that have high open rates. They are also a great tool to remind me to follow up from older emails I sent. "Nova makes emails enjoyable again "
Nova has a great interface that is easy to use daily. Other softwares have dashboards that at first are easy, and then have too many clicks to get where you want. Nova makes it a joy each day to do my emails, reminders etc. The personalization feature is really amazing, though I haven’t had a ton of need for it lately. The reminders don’t always pop up like I expect. Also loading time when manually entering names and companies on sidebar sometimes is slow. I send welcome emails for signups for my company, and Nova gives me a chance to really see who is signing up for my product, vs it being automated and having no idea who is actually using my product. I love that about Nova! The cadences are so easy to manage. "Changed the way I work and I'll never go back!" Personalizations! Sometimes they can be a bit wonky, but the resources Nova pulls in so you can gain a more holistic view of the folks you are reaching out to is incredible. Nova is a beautiful product and the folks who built it are pretty awesome too. Like I said, the personalization can be a bit off, but it's easy to adjust and I like making them my own anyway. Also, wish it were a bit easier to edit flows when assigning contacts to them, but the product is a work and progress so this isn't much of a legitimate complaint. Don't abuse the tool, it's easy to do so. With great power comes great responsibility. How to be personable but maintain velocity in outreach. Best tool I've found to accomplish this task. 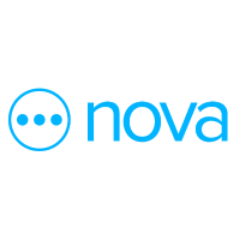 "NOVA is a game changer"
The organization and insights - outside of Nova's "bread and butter" I truly believe their true value lies in the task management and reporting capabilities. Nothing from a platform standpoint, only what I would change for my personal preferences. The problem we ran into was the amount of time we were using between tasks, from hopping in and out of our CRM, to LinkedIn, to the Website, back to CRM... all of this is managed through Nova while being connected to all the important links we need. "Nova helps with the painful parts of sales"
Nova's research has tremendous value for me, whether it be call prep or personalizing outbound emails. I also find the interface to be very comfortable and easy to use, especially given that it's right in the inbox. I'd like for the sidebar to be a little faster. I understand that Nova needs to do a lot when you put in an email, but sometimes it takes as long as 20 seconds after you enter a contact. I use Nova for cold outbound sales and for following up with my Opportunities in progress. "Email campaigns made easy "
The ability to tie in social media feeds to contacts during an email cycle is wonderful. I’m not quite sure if there’s an iOS app available but that would be super cool with dashboard. Try it! If you market yourself or prospect with emails or attend events where mass emails with opt out options are a must, you’re going to love this product. I’m solving the time it’s going to take emailing one contact at a time. I realize benefits of personalization to my emails which increases my open rate. Plus the ability to track open rates and synchronize with salesforce is awesome. "Nova, a salesperson's best friend!" The best feature of Nova is the AI. Nova finds information about your prospect and curates an email for you! I have been using the product for several months now, I have yet to find something I don't like. Use this product, it will make your life so much easier! Nova makes prospecting and personalizing corespondents easy. Nova has the ability to directly connect and communicate with Salesforce. In addition to scouring the web to create a personalized email, Nova provides you amazing analytics. "Great platform, we use it with all of our clients"
We like the process flow the best. It's built for an SDR in mind. It's the only platform I've seen with a workflow you can use directly in Gmail that helps improve SDR productivity. There isn't really much I dislike, except that there aren't any integrations with Pipedrive yet...or any CRMs outside of Salesforce and Hubspot. We are a done for you prospecting service for hire. We use Nova for our internal prospecting efforts, along with our client accounts as well. "Fast and Easy Email Personalizations "
What I love the most about Nova is how easy it is to prepare mass marketing email campaigns while still giving me the ability to personalize each email. I enjoy being able to view each email I send out to add personal touches and Nova allows me to do just that. The tracking features within Nova's technology are amazing as well. The only thing I dislike is that some of the personalization can be a bit off - but overall gets the job done! Nova is helping me to send and track mass email marketing campaigns to clients. The benefits have been great as it makes my job easier and less tedious. "New breed of sales augmentation"
It's built for maximum SDR efficiency - of everything, including the personalization aspect. Great for SDRs going after SMB/Midmarket buyers, especially those on social media. If you're doing low-volume enterprise sales, you may not be realizing its full benefits. Seamless interface, ease of use, lots of possibilities. If you're looking for the most robust tool with a million features and buttons you may be better off elsewhere. Our team prefers Nova's simpler approach. Nova's team is forward-thinking. They have a perfect blend of putting customers first, while keeping true to their vision. Think about what you want out of your tech stack, and I believe Nova's got it all. Integrations and simplicity of the tech saves our team from decision fatigue. Being hyper-focused on our content, strategy and goals means we're shaving hours off of weeks and days off of months. The ease of flow for drip campaigns and prospecting. Knowing I can send mass amounts of emails and build calls in their as well, with value, allows me to maximize my efforts and schedule accordingly. Once I build out the flows and preset the stages, the technology is very easy to use and manage and my tasks are ready to go each day! Loading bar sometimes slows on the side but manageable. The ability to schedule out all tasks and activities in a centralized system while still being able to access it from my email bar makes it so manageable and efficient. The benefit of customizing my flows and scheduling out how I want to prospect that includes both scheduled emails and phone calls makes the productivity to the highest potential. Nova is my favorite tool for scalably personalizing sales emails. I'm able to segment my list and personalize each individual email based easily without needing to spend loads of time on every single email. I've always had the experience of getting better results from more personalized emails but the challenge was doing it efficiently. Nova solves for that. If you don't have much activity, then you may not need all the features. I've grown to find Nova much more valuable as my activity has increased. Scalably and efficiently personalizing my outreach to thousands of prospects. "Amazing Product for what it does well." There are certain features from other similar softwares I like better. I wish there was an option for a webpage like Outreach.io. If there was a way to sort everything by accounts so I know I am not messaging too many people from the same company at once. "Nova makes my job in Sales Development possible." Attentive, quick support! If I have a question or an issue, I contact them via chat and they take care of it within minutes. Sometimes runs a little slow - but that's also fixed with a quick support chat. Able to automate contacting hundreds of potential clients via email with minimal up-front input. "Tried others and Nova stood out"
Its very easy to set up sequences. I also love the personalisation feature, increases the response rates and also save me a ton of time. The team is very approachable and actually listen to our requests and work closely with us to understand what we want and need. The limit of tasks should be increased from 100 to 200 to allow me to work on different campaigns simultaneously. Emaling customers in a personalised way, pipeline generation, new business. Simple user-interface. Great for administering orders and it very useful for tracking work of agents. Great tool to keep tasks organized. I wish Nova were able to integrate with more web-based applications. I also believe that it has to potential to include more features which would make our ordering process leaner. I've realized that this is one of the best applications our agents like for tracking their orders. Different queues allow them to stay organized and productive. I love that I am able to use different flows to reach out to different categories of prospects. This is really beneficial when sending out hundreds of emails. I would like the ability to view the whole task list, not just the first 100 tasks. Nova saves me so much time by tracking which prospects interact with my messaging the most, so I am the most efficient at reaching out to those prospects that show interest. "A "friend" to rely on, when creating campaigns"
The easiness of Nova in creating flows and emails is really essential to an SDR's job. Time management is important in our job and Nova helps me to manage it in a very effective way. There is nothing I dislike. I am very happy with Nova. I can create email campaigns easily and fast. I love the tracking and the personalisation. The personalisation saves me time and is a nice touch for prospects. Nova is great for pulling industry-relevant news/information about the contacts right in your inbox. Makes the workflow seamless and easy. I love how quickly I can make lists to email and follow with my prospects on a day-to-day basis. By using nova I have been able to triple the amount of emails that I can send daily well also sending tasks to give them a call and follow up . "Automation makes sequencing a breeze." The flexible calendar feature makes scheduling sequences of 3, 4, or 5 emails easy. The program is very much "set it and forget it." I would like it if I had more control over filtering my past sends according to prospect persona. Very affordable and efficient email sequencing tool. Nova makes it easy to do mass mailings. Once the initial send is done, Nova then takes care of my follow-up messages. "The future of B2B Prospecting"
The analytics and reporting features are second to none. I've tried out several different prospecting tools, and Nova.ai is #1 by far. The personalization feature isn't always perfect - there's not always a great option for many prospects. Nova saves me a ton of time by automatically assigning prospects to the most relevant email sequence and allowing me to easily see what's working. Time management. It takes much less time out of my day to trust nova with details about a prospect. Nova allows me to streamline my personalization workflow so that I can be relevant and scale my outreach process to prospects. I wish I had the ability to pause and restart nova flows. My ability to personalize my outreach at scale has allowed me to book more meetings than if I was doing the personalization and research myself. I also think that the Analytics suite is interesting than other tools and gives me the insight to see how my messaging is working and how certain verticals are performing to others. "Changing the Personalized Prospecting Game"
I like how easy it is to take a mail merge and provide each person with a personal note. The best one is asking which conference someone is going to or saying that you noticed they are attending a conference. It's super fast and easy to set up a mail merge which is great. I don't think all of the personalizations are great. Like asking someone who lives in San Francisco if they've seen a particular landmark is pretty useless. However, there are good ones like mentioning a college or a promotion. Consider if they have typical email tracking too because right now I'm not sure if it's worth replacing a legacy product that tracks emails and does mail merges. What I like best about Nova is the personalization. This makes my emailing more sincere and seamless. Sometimes my task queue is a little slow. The benefits include a higher reply rate since my emails are more personal. "Great way to get meetings." The whole user experience of getting email flows started. Not being able to cc people on streams can be a bit annoying. Getting more meetings with prospects. The support is really incredible - whenever I have a question someone is available to help me through it. It's definitely a new product so some things (specifically around SalesForce integration) haven't been thought of quite yet. That said, they're quick to put things in the roadmap. Lean on the support team! Automated follow up has saved me a TON of time! "Superb - a must for any sales team"
This tool really takes the pain out of prospecting. Nothing - the tool is excellent! Very happy with how this works. "Personalized messaging to the masses"
* We monitor all Nova reviews to prevent fraudulent reviews and keep review quality high. We do not post reviews by company employees or direct competitors. Validated reviews require the user to submit a screenshot of the product containing their user ID, in order to verify a user is an actual user of the product. Hi there! Are you looking to implement a solution like Nova?